If all goes according to plan (an awful, terrible, plan) the New Orleans Hornets are going to become the New Orleans Pelicans. This bold move is one of self-sacrifice, immediately taking the Washington Wizards and Toronto Raptors off the hook for having the dumbest team names in the NBA. It could be worse, though. 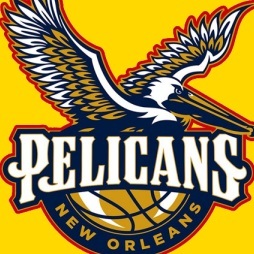 The New Orleans Pelicans is a terrible name with no redeeming qualities, but it is not the absolute bottom of the heap. There are exactly 32 team names that would have been worse. The New Orleans Football Team Third-rate minor league baseball team or a professional basketball organization? How Many Three Point Shots Do We Have To Make Before You Love Us, Dad? C'mon, Do The Wave, Everybody! Subj: MORE PRIZED PIGS??? !!!! !